Manufacturer & Exporter of Fume Extraction Systems & Bag Filters. Our product range also comprises of Electric Arc Furnace, Rogowski Coils & Integrators. 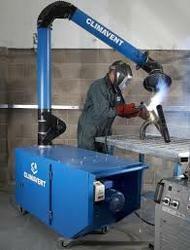 Made available in the market at a market leading rate, the offered range of Fume Extraction Systems is widely praised and preferred in the market. Making of this range is done in accordance with the set industry norms and guidelines, using the finest raw materials and advanced technology, its performance, capacity, strength and functional life are highly commendable in nature. 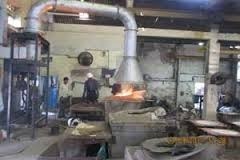 To furnish the diverse requirements of our clients in the best possible manner we are involved in offering an extensive range of Industrial Fume Extraction Systems. 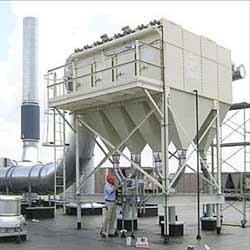 To furnish the diverse requirements of our clients in the best possible manner we are involved in offering an extensive range of Mobile Fume Extraction Systems. To furnish the diverse requirements of our clients in the best possible manner we are involved in offering an extensive range of Portable Fume Extraction Unit.